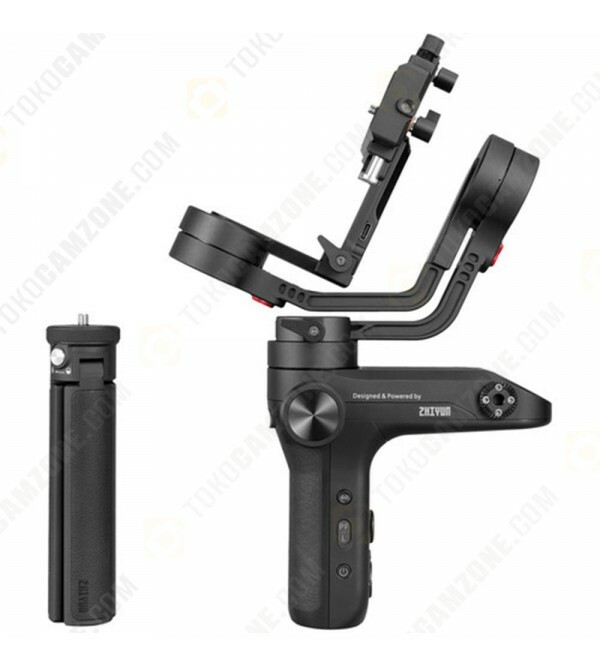 The Zhiyun-Tech WEEBILL LAB Creator Package includes the WEEBILL LAB gimbal and dedicated accessories that allow for an optimal workflow with the gimbal. The WEEBILL LAB supports up to 6.6 lb and features an innovative design that supports a mini tripod on top and bottom. In this way it provides an additional point of stability and an easy way to switch to underslung mode. 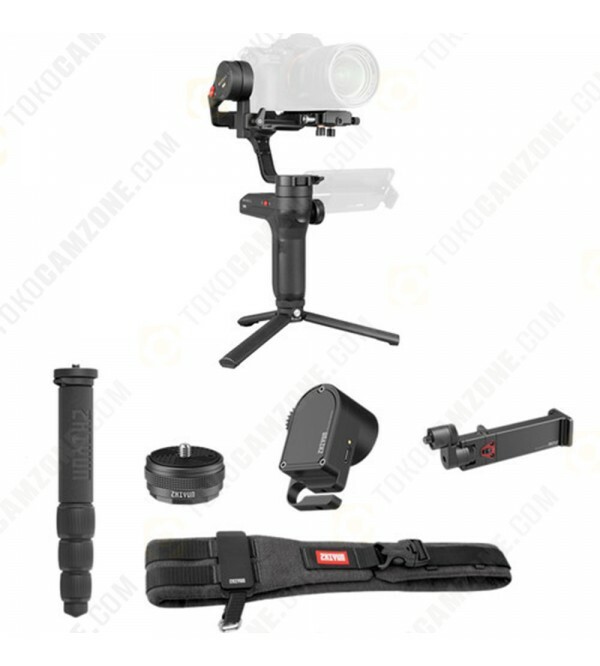 In addition to the accessories that come standard with the WEEBILL LAB, such as a mini tripod, the Master Package also includes a mini monopod, zoom/focus servo, two quick setup adapters, a phone holder, and a multifunctional camera belt in size large. 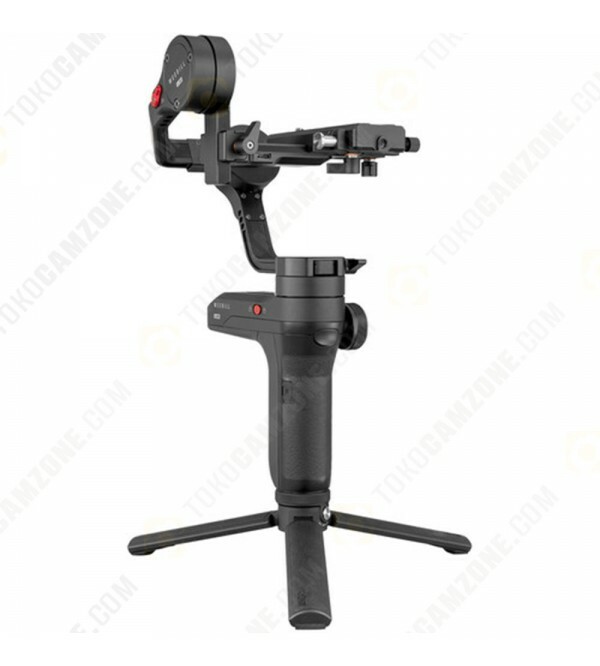 The monopod is designed to secure to a quick release receptacle on the camera belt and allow for more stable jib-style shots, with the weight of the gimbal taken off your hands and supported by the belt. Even without the belt the monopod can be used as a comfortable extension. The zoom/focus motor is the Max version motor, which has enough torque to control zoom (whereas the Lite version is only strong enough for focus control). The WEEBILL LAB supports a single motor, and this one can be used interchangeably between the focus and zoom rings. The Quick Setup Adapters let you attach the mini tripod and monopod to the gimbal by quick release functionality, instead of having to screw them in each time. And the phone holder will hold your smartphone on the side of the gimbal for monitoring. 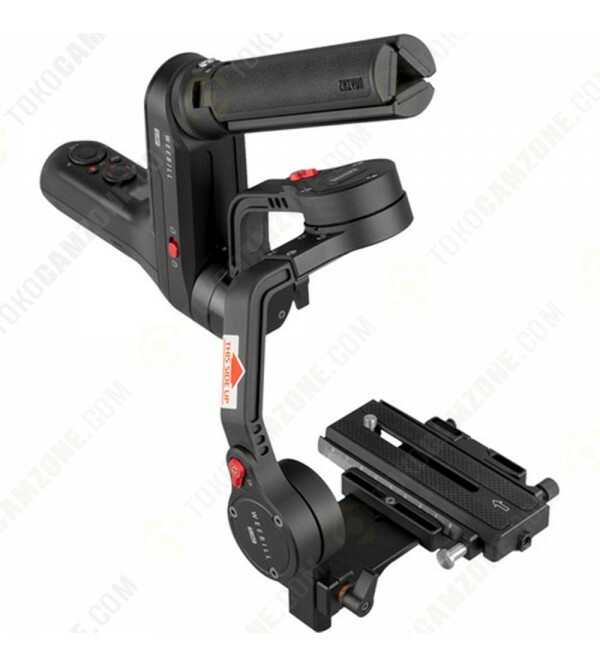 It supports up to 6.3" phones and can be articulated forward and backward as well as folded up when not in use.